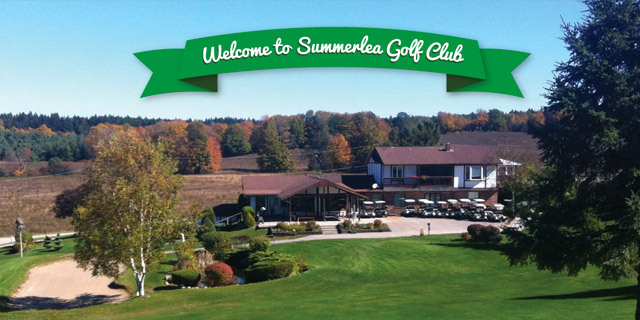 Summerlea Golf Club is proud to be one of Durham’s executive courses with 3,250 yards to be enjoyed by all levels of golfers. Our 18 hole course offers natural rolling hills and landscapes, with mature trees and beautiful surroundings. Our newly renovated clubhouse features a fully licensed bar, restaurant and patio, with a full new menu. We even have a new beverage cart! Looking for a fun and rewarding course to host your next golf outing? Give us a shout and see why we are the perfect course for that. Come out and experience just how challenging and fun this course can be!